Ever since Apple ditched the headphone jack in 2016, wireless Bluetooth headphones have become a necessity for many. 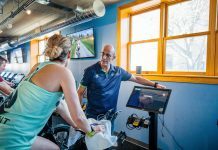 While this required change was annoying at first, it was sort of a blessing in disguise, as not having to deal with chords while running or working out makes life a lot easier. I’ve tried a few brands of Bluetooth headphones and have honestly loved them all; just the ease of use and freedom they allow during any activity gives them an A in my book. When the PaMu Scroll landed on my desk at work, I was excited to give another brand a try. 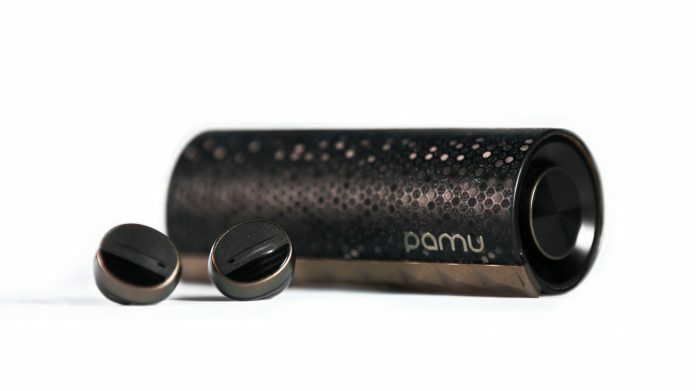 PaMu Scroll is the newest headphones from Padmate, and the first thing I noticed was the beautiful color. The package I received is in Sakura, which is a rose goldish color, and both the case and the earbuds are decorated in it. The fact that it comes with a carrying case is a major selling point for PaMu too; ear buds are tiny, and easy to lose, so having a case gets rid of the annoying digging-through-my-bag process. Oh, and the case is a portable charger too – how fancy is that? The headphones themselves are very comfortable. They go a little deeper into the ear than other headphones I’ve tried, and at first it felt a little invasive, but I quickly got used to that. PaMu also provides two extra ear bud sizes people can change out. The pairing process was very simple, just like any other Bluetooth product I’ve used, and within minutes I was able to listen to my music. According to the website, the PaMu Scroll offers an enhanced bass sound, which I didn’t know when I first tried them, but I can totally tell now! The sound is super clear and goes pretty loud. I will admit, when going for a run, it can be a little difficult to hear your surroundings, so these might be better used when in the gym or at the office. PaMu definitely puts you in your own music world. In addition to all of those features, the PaMu scroll is water resistant and has touch control – the manual is a little vague, so I was confused how to change the volume and stuff like that in the beginning, but I figured it out quickly. The PaMu Scroll was just released to the public yesterday, and are available right now in four different colors for $39. Compared to the other Bluetooth headphones I’ve tried, this is more than half the price, and definitely worth the money. However, there is only a limited quantity available right now, so if you want the fancy portable headphones, you better get them now! May I know the latency of this Bluetooth when playing a video? Rate the latency from 1 to 5, from best to worth. Hello there, may I know the ETA for this Pamu Scroll to sg?